Robbie White dives to his left for the save. The Cats host DePaul on Wednesday. Northwestern didn’t win on Sunday. But that doesn’t mean their spirits are down. After a draw against No. 3 Indiana (4-0-3, 1-0-2 Big Ten) this weekend, the Wildcats (1-5-1, 0-2-1) will look to grab a victory against crosstown rival DePaul (4-2-2, 0-1-0) at home on Wednesday. The game is the first of a three-match homestand. The non-conference showdown gives the Cats an opportunity to reset their offense before taking on Michigan (0-4-3, 0-3-0) on Sunday in Evanston. Despite the fact that redshirt freshman goalkeeper Robbie White dominated in the Indiana game and shutout the Hoosiers, the Cats won’t be able to rely on him this coming weekend. White suffered a lower extremity injury during the match and won’t be returning to the field for eight to 10 weeks. However, White remains hopeful that Sunday’s performance will inspire the team to perform against DePaul. Despite the fact that NU lost in its most recent scrimmage against DePaul, the Wildcats defeated the Blue Demons 2-1 in 2015. NU’s defense has been solid of late, ranking second in the Big Ten with 17 total saves thus far. In addition, the Cats have only allowed three goals in conference play. Senior defender Nathan Dearth, who played all 110 minutes against the Hoosiers, said matches against Chicago teams are always tough. He hopes the Cats’ offense will control possession during Wednesday’s game. 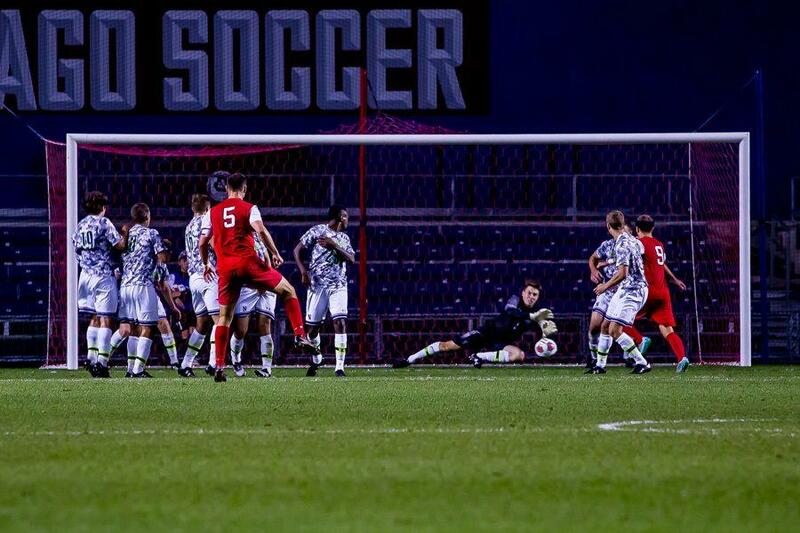 Though DePaul is coming off a loss against Xavier (3-2-2, 1-0-0), NU will need to prepare to face a tough offensive. The Blue Demons rank third and fourth nationally in total points and assists, respectively, with 53 and 19. In spite of the recent woes, however, Coach Tim Lenahan believes that with classes beginning at NU, the Cats will be revitalized when they see fans in the stands.